Email the signed agreement easily! Fill out the following form and attach your signed site license agreement. The accepted file extensions for the signed agreement are: ".pdf" ".jpg" ".jpeg" ".gif" ".bmp" The file size should also be less than 300 KB. Having trouble with sending the license agreement with this form? 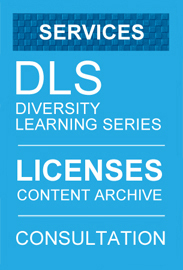 You can also email the entire document to orders@diversitycentral.com. Please provide your name in the subject line.